After quietly opening July 1, Christ Community Health Services officially debuted its fifth dental practice, this one located in the clinic's year-old facility in Raleigh. The new clinic features five exam rooms and one dentist and one oral hygienist. The number of rooms will be doubled over the next year, thanks to a federal grant. 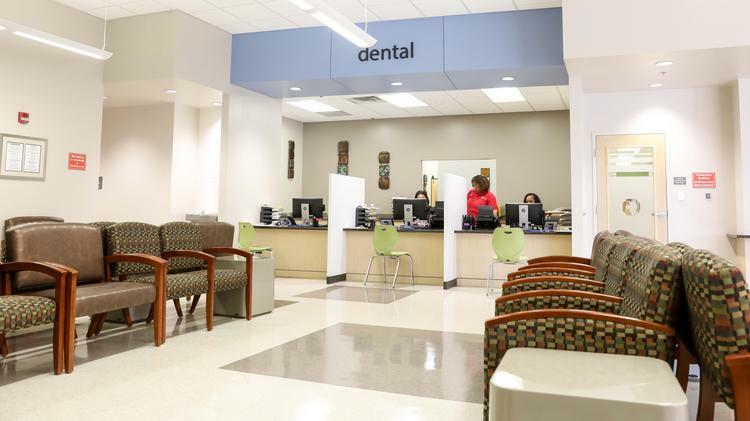 The dental clinic's goal is to add 500 new patients over the next year, but it could serve as many as 1,500 people, says Shantelle Leatherwood, chief administrative officer for Christ Community Health Services. It will offer comprehensive and restorative dental care as well as prosthetics. Christ Community officials are hoping the new clinic can bridge the gap between their dental services and medical practices. One of the issues with dental care is related to the cost, but because Christ Community is federally qualified, the clinics can offer a discount for patients in need. Services at the dental clinics range in price from $25 to $600, depending on the service. “We’ll always try to get a person out of pain if they’re in pain,” Leatherwood says. Christ Community currently works with head start programs as well as a few charter schools around the area. The Raleigh location already has a referral relationship with Methodist North Hospital, so the dental facility could see patients referred from Methodist, as well. Another way to bridge the patient gap would be to help patients understand the relationship between oral health and conditions like hypertension and diabetes. “If you have some type of oral disease that has caused you to lose your teeth, it could further increase your condition,” Leatherwood says. The Raleigh location will also be the first Christ Community site to house a satellite location of Baptist Memorial Health Care’s Universal Parenting Place, which offers support services for parents. The satellite location is expected to open by January. The services will tie into Christ Community’s behavioral health services and will be free to anyone who comes in, regardless of their income. Raleigh is an obvious choice because of its demographics, Leatherwood says. Around 66 percent of the households are families, and 38 percent of the households are headed by females. Christ Community launched its own behavioral health services last year, and while Christ Community employees will staff the new center, having Baptist as a resource can enhance the services.